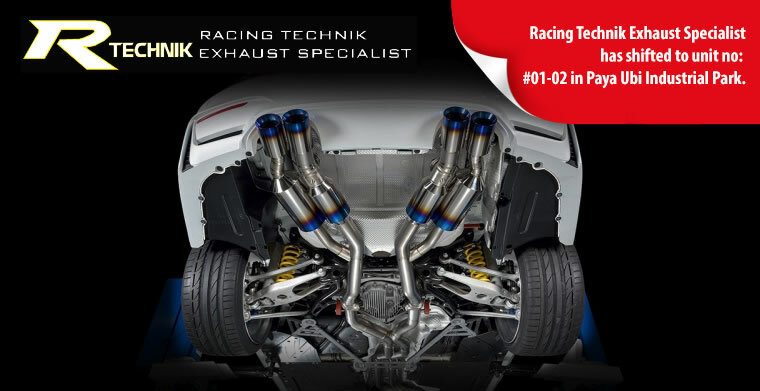 Specialising in exhaust system, Racing Technik Exhaust Specialist (RTES) offers a wide range of motorsports equipment and related services. 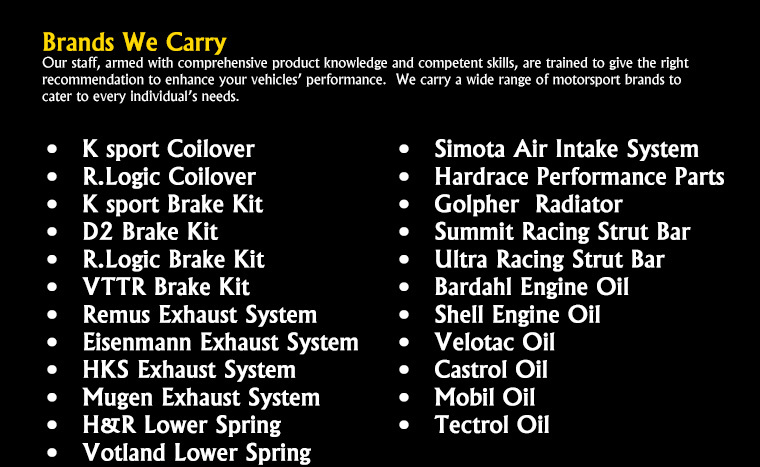 They carry a large variety of products such as exhaust systems, air-intake systems, brakes kit, coilover and lowered springs. The brands they carry include Ksport, D2, R.Logic sports coilover, Simota air intake system, Ultra Racing, Summit Racing Strut Bar, Hardrace Performance Parts, K sport, R/Logic and VTTR Brake System. 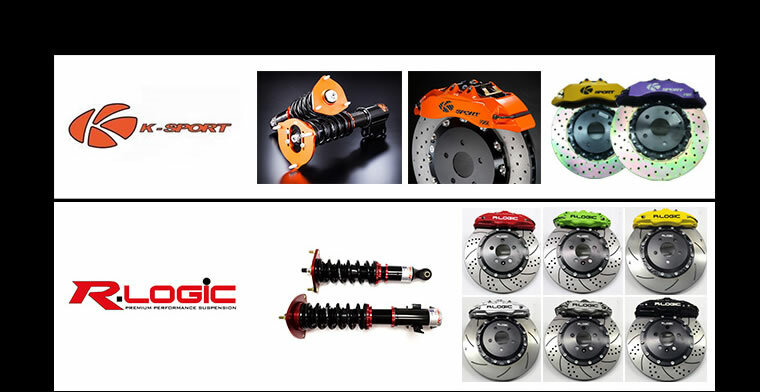 Other than carrying these big brands in the performance market, they have also developed their very own in-house unique and exclusive range of performance components. They offer performance services such as exhaust system upgrade and repair, vehicle alignment, modification, tuning, engine flush and general repair services. 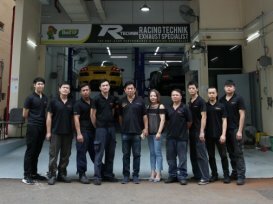 From intricate custom exhaust fabrication to regular servicing and maintenance, performance specialists Racing Technik Exhaust Specialist have got your back. Excellent service and very good response when having an issue. Highly recommended. Very friendly and patient person in charge, Ricky. He will sure help in answering all your doubts. Approach this workshop to do some upgrade for my ride. Not pushy and explain to me the items in detail. 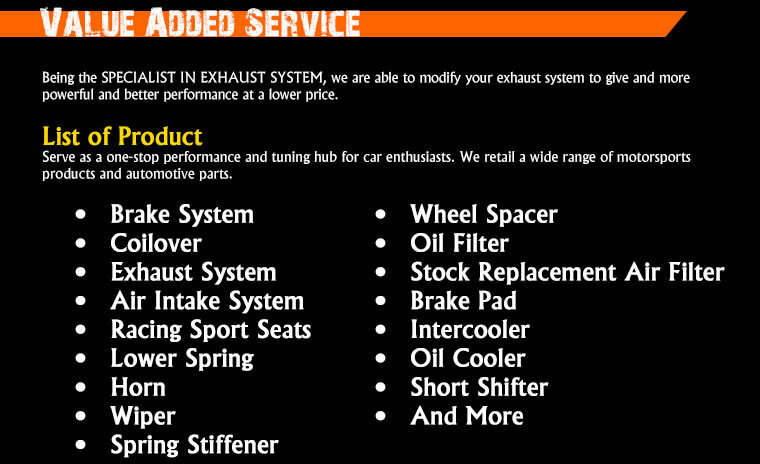 The person in charge seems to be very experience in car upgrade and modification. I was recommended thru friend that RTES is well known for braking and Exhaust system.